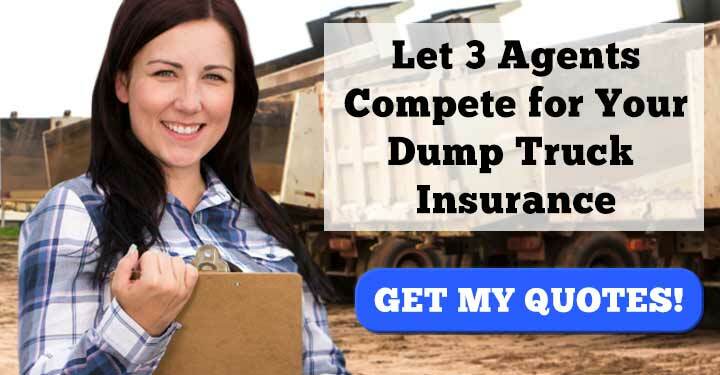 Need Dump Truck Insurance? Let Us Connect You with 3 Agents. They Compete. You Save. Commercial dump truck insurance is a major expense for owners of large fleets and small fleets alike. To reduce your overhead, it’s important to obtain a solid dump truck fleet insurance policy that is both air-tight and fairly-priced. The best way to find such a policy is to request insurance quotes from several competing agents. Insurance agents are eager for your business. Make them work for it. Our service pits three commercial agents against one another in a competition to do business with you. They each offer you their best quote on commercial fleet insurance and you choose the policy that’s best for you. This service is absolutely free for business owners, so get started now. Commercial Auto Liability – A legally required coverage that protects the public if any of your drivers are deemed negligent in an accident. Pays the for the medical expenses, property repairs, and other associated costs of any damaged individual. Physical Damage Coverage – An insurance that pays for repairs to any of your vehicles damaged in an accident. Basically, if a dump truck gets into a crash, the insurance company, not you, pays for its replacement. 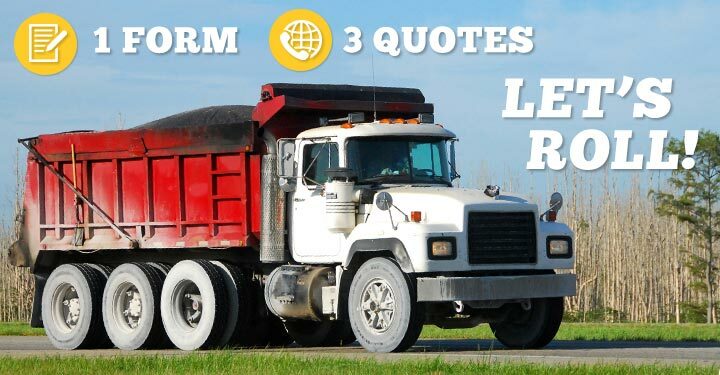 Cargo Insurance – This coverage protects the materials you haul—sand, dirt, rocks, aggregate, anything. General Liability – A business insurance that protects you from lawsuits over accidents and injuries that occur on your property. Workers’ Compensation – This coverage protects your workers if they are hurt on the job. It pays for medical bills, paid leave, and other expenses. Other Industry-Determinant Coverages – Depending on your type of business, you should also look into Environmental Liability, Medical Payments Insurance, and Umbrella Insurance. When an accident occurs—if one occurs—it’s important that your insurance representative is at your beck and call. Timeliness is crucial. If you do work at night, you need an insurance company that has representatives available during those hours. If you work weekends, same thing. An insurance company should be able to accommodate your billing preferences. Typically, they offer discounts to business that pay on time and that pay in large, infrequent lump sums instead of in monthly installments. 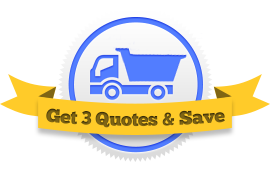 Use our Request Three Quotes service, and we’ll set you up with three agents who know your industry inside and out. They compete for your business and you save.